The second way to think about technology, and I believe this is where we should all end up if we’re doing it right, is in the software. For me, the cloud represents the epitome of server software, and a True Cloud solution takes the best advantage of that software as it grows and evolves. Just like we don’t want to be wrangling cables and swapping out switches, we also don’t want to be installing service packs and updates. Upgrades need to be a thing of the past. It should all just work, and if there are new shiny features and benefits, why shouldn’t we all be able to take advantage of them? Most CMS solutions these days tout their ability to be “hosted in the cloud”, but for many of these packages, you still need to manage the software itself. Even worse, in many cases you need to take your website offline in order to do an upgrade - even for a security patch. If that upgrade fails, you may be looking at restoring from a backup. To me, that's not how it should work. With True Cloud, we can start looking at the world in a whole new way. Of course, there’s no infrastructure or hardware to put in place, and you don’t have to install anything. What’s more, there’s no huge outlay of cash to get started. 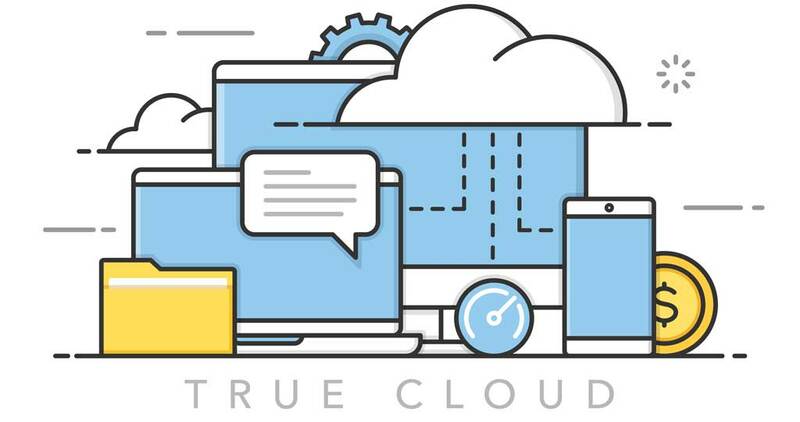 True Cloud is SaaS based, where you pay a reasonable and fair subscription fee that gives you all of the benefits and peace of mind knowing that things just work. What Is So Special About Agility? Agility is unique in the CMS industry because it was designed from the ground up for True Cloud. What started off as a ground-breaking Content Management System (CMS) that was a hybrid of both Headless and Tradition platforms, became so much more as time went on. As the platform has grown, so has its offerings: User Generated Content; Ecommerce; Ticketing; Point of Sale (POS), just to name a few. When the foundation is strong, as Agility’s is, the ability for customers to onboard new features becomes really easy, and is often a natural progression as businesses grow and the knowledge-based economy evolves. When you work with Agility, the upfront cost to use the platform is low. You'll pay for a subscription based on the features you use and the number of users you need. As your business grows and your online footprint increases, Agility is ready for you, with regular feature updates coming every month. Since Agility is True Cloud, updates are automatic and included as part of your license. The net effect is that your return on investment (ROI) for Agility happens fast and continues to grow with your business.